Manici (Mah--nee--kee) is Greek (ahem—geek??) for sleeve. Manici is a universal recipe for electronics sleeves. The pictured Manici is 5 by 7.5 inches and fits a Kindle ereader. However, Manici can be customized to fit any mid-sized, thin, flat, rectangular, electronic devise (net books, thin laptops, tablet computers, etc). The sleeve begins with a circle that will wrap around the long side of the device. The sides are then worked beginning at the lower corner and ending in the top center of the arch. Finally, the sleeve is worked in the round until it equals the length of the shorter side of the device. Manici is finished with a zipper. For an experienced knitter Manici can be made in an afternoon. 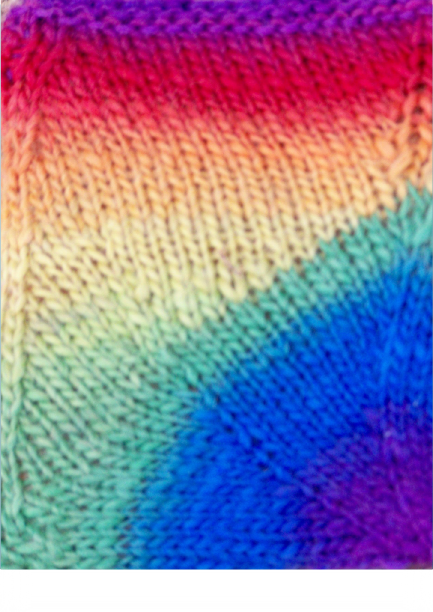 The original Manici was made for a dear friend and was intended to create a proud rainbow using Knitpicks Chroma in the prism colorway. 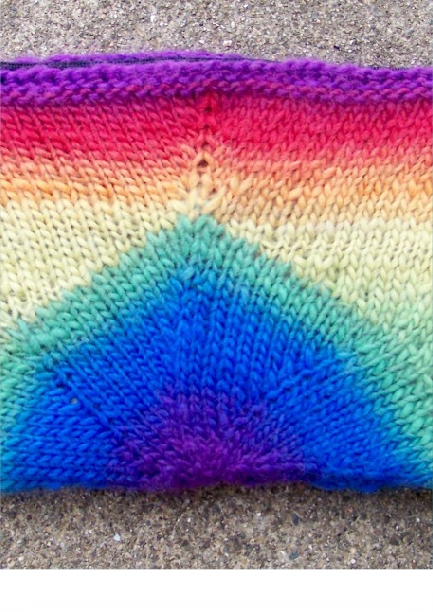 Manici also looks fabulous when made with many colors of remnant yarn or self-striping yarn.